Vacation time is looming, and with the growing strength of the U.S. dollar vs. other currencies, many people are making plans for international travel. 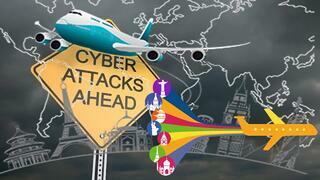 If you are among them, be sure you have done all you can to take responsibility for cybersecurity when traveling. After all, it’s a dangerous world out there when it comes to the cyber threat environment. Some common sense and preparation will go a long way toward ensuring your international travel memories are of the good kind. First, it is important to know in advance that the travel environment itself has changed. While traveling within the U.S., the TSA agents at the gates are not allowed to confiscate your digital devices nor are they allowed to demand passwords to get into them. If such attempts are made, demand to speak to a supervisor. The rules, however, are different for U.S. Border Patrol agents and for agents in other nations too. Recently there have been multiple news reports of U.S.-born citizens having to turn over digital devices and their passwords as a condition for entering or reentering their own country. What can the border agents do with your passwords or data on your devices? How long can they keep that information? How long can you be detained? These and other questions are not easy to answer. But as you will see from the tips and tricks below, there is much that can be done to minimize what might be compromised or inspected while you ensure your trip overall is as cyber safe as it can be. If you haven’t checked recently, this is an excellent time to be sure your antivirus software is current. There is plenty of danger lurking in foreign hotels, coffee houses, and even airports, as we’ll see. This software is your first line of defense. Be mindful of movies, books, and other things you have loaded into your devices that could be considered pornographic and otherwise illegal in certain other countries. Also, some downloads considered legal in the U.S. may actually violate local intellectual property or digital asset rights in other countries, should your device be searched. Just err on the side of caution and store and remove anything that might be thusly construed. Similarly, disable Bluetooth connectivity. If left on, cyberthieves can connect to your device in a number of different and easy ways. Once they are in, your cyberworld is their oyster! Finally if you do not have an international subscriber identity module, better known as a SIM card or do not have a roaming package on your smartphone, your two-factor authorization access will be limited. All the more reason to purchase a secure Wi-Fi data plan. At all cost, avoid using “public” digital devices, such as those at coffee houses, libraries, and bookstores. They are often notoriously riddled with malware lurking to steal your information. If you use them, you should presume that someone other than you will see any information you enter. Bon voyage! And safe cyber travels.